Jacobs relies on strong relationships, repeat clients, and value-focused design decisions as it delivers innovative and efficient bridge in an evolving bridge market. Improving the quality of life in a highly congested urban area. An accelerated bridge construction success story in Southington, Conn.
Three replacement bridges on the Lewis & Clark Highway. Sharing new technology through PCI Bridge TechnoQuests. Proportioning guidelines and a design example. A Professor's Perspective - Do We Teach or Do They Learn? 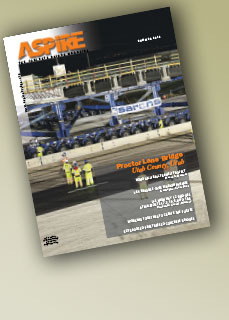 Safety & Serviceability - When Should Mass Concrete Requirements Apply?